"I will use what you have in a new way to redecorate rooms, and make recommendations about treatments and new furnishings to create a look which will enhance the salability of your home. You will see an immediate improvement after only one hour!" Beyond this introductory offer, our consultant is available on a sliding scale of $35 to $45 per hour, two hour minimum per visit. Our consultant's goal is to create a balance of materials and flow throughout a room -- organizing each area (including closets, drawers and surfaces) to provide a highly functional and beautiful living environment. Client references available and photos online soon. 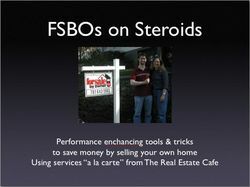 It wasn't obvious to us how badly we needed to update this section of our blog until we received a call about ten days ago inquiring about our schedule of classroom FSBO seminars and current fees. Over the past year, we abandoned the seminar format in favor of in-home presentations so you can ask questions about your own desire to save money by selling "for sale by owner." If you go on to become a customer or client, the cost of the 90 minute slideshow / preliminary consultation is covered by the retainer fee. Otherwise, there is presently no charge and no obligation to work with The Real Estate Cafe. If you'd like to schedule an in-home presentation, or explore other options, please email [email protected] or call 617-661-4046. 10. Evaluate potential listing agents. The Internet will empower real estate consumers to save an estimated $30 billion of dollars annually, or an average of $6,000 per transaction according to the Wall Street Journal. This course will show you how save two to four times that much in the Greater Boston area. No computer experience is required. If you if you have children or are too busy to attend a seminar, we'll gladly present a private seminar in your own home. Special introductory price: $99 per household or FREE to anyone willing to participate in our Million Dollar March. Tuesdays, 6:30-8:30pm beginning April 12 in a variety of public and private locations, addresses sent to registrants. Special introductory price: $29 per person, $49 per couple or FREE to anyone willing to participate in our Million Dollar March. Limited to 15 participants. Table top seminars taught at a WiFi hotspot in Greater Boston. Special introductory price: $99 per household or FREE to anyone willing to participate in our Million Dollar March.